The one thing that most people don’t understand is going on a bad date is very harmful to their bank account or finances. 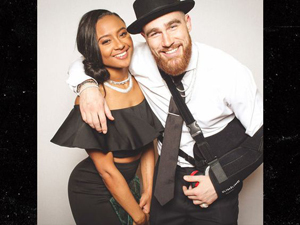 Finding love is not cheap at all especially in this day and age we live in however, worry not, here are some very useful interracial dating tips to help you not break the bank when looking for interracial love. The internet is the one place where people are meeting their potential partners these days and it is very important to ensure that your online profile reflects who you really are as a person. While many people want to appear as the best version of themselves online, a few white lies here and there can lead to a disappointing date when you do meet up with potential matches. Saying you are a football fan for example while you haven’t watched a single game or understand the sport can lead to a terrible date where you listen to your date go on and on about their favorite team. If you are upfront about the things you dislike and like, they less likely you will be on a date with someone you are not compatible with. It is good to be matched up with people who share the same interests as you because it makes for wonderful conversations when you meet up, however, if you are compatible that is even better. If you and your date share the same traits as far as personality is concerned, the chances of having a good date are very high. Look beyond the same taste in music, food, and movies, if you have similarities in lifestyle sparks will fly very quickly. One of the best things about online interracial dating is you get the chance to speak to someone for a while before you actually meet them. Although your opinion about them might change when you get to meet them in the flesh, it is always worth building a rapport about any potential dates. This lets you know if you will have a good conversation in person with them or not. If you cannot get more than 2 words out of your date when you message them it is best to keep it moving and take the party elsewhere. Arranging a phone call with your potential date is also a wonderful way to that can help you save a fortune on your quest to finding interracial love. Text messages alone are not enough for you to make a judgment on whether you and the person you are speaking with have a connection or not, a 10-minute phone call does. Hearing a person’s voice on the other line can put you at ease and answer the questions whether you are compatible or not.